Writer and artist James Bridle uncovers a dark, strange corner of the internet, where unknown people or groups on YouTube hack the brains of young children in return for advertising revenue. 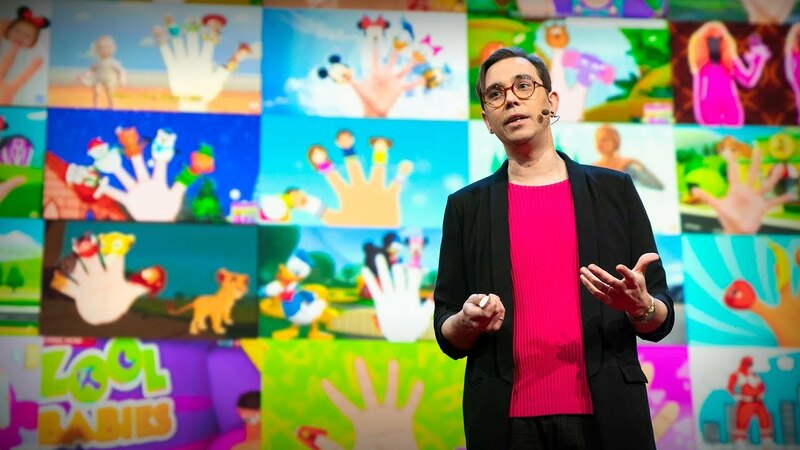 From “surprise egg” reveals and the “Finger Family Song” to algorithmically created mashups of familiar cartoon characters in violent situations, these videos exploit and terrify young minds — and they tell us something about where our increasingly data-driven world is headed. If you have small children, keep them the hell away from YouTube. Having two young children myself I can confirm what he’s saying. Don’t believe it still? Here, watch Peppa Pig making cocaine pancakes, which is only a few recommendations away when watching an “official” Peppa Pig episode. (*) This is exactly the same message that my former employer Small Town Heroes – who make apps for children such as Ketnet Junior, amongst other things – have been saying during all of their pitches.